(Daily Mail) – From smart boxes to cable services, there are more ways than ever to watch television. Now, network operator EE has launched what it claims is the UK’s ‘most advanced TV service’ that combines live and recorded programmes across TV sets, mobiles and tablets. 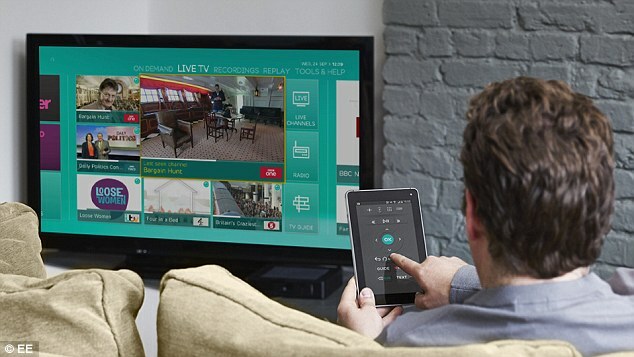 It uses a specially-designed EE TV smart box, which is free on contracts that start at £9.95 a month. The company hopes to compete with rivals BT and TalkTalk, which have won over customers by offering premium programming as part of their respective broadband packages.